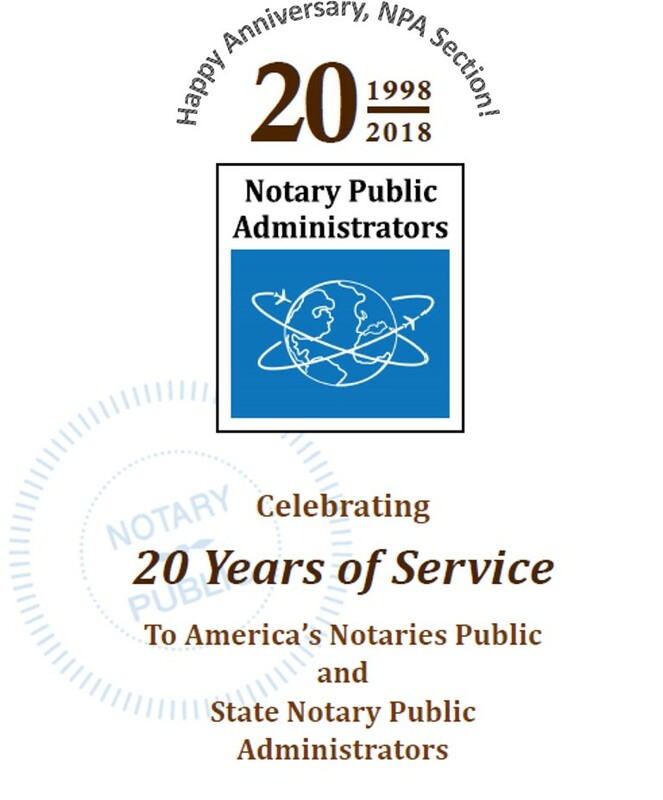 The Notary Public Administrators (NPA) Section, a staff section of the National Association of Secretaries of State (NASS), is a national organization of persons in government and the private sector with professional interests and responsibilities in notary law and the commissioning and administration of notaries. • Advance the office of notary public through education and promotion of best practices. • The NPA Section's 2018 Membership Renewal and Recruitment Drive is underway! Learn why it's important for your state's notary public office to join your colleagues in the NPA Section.